In 1964, a trench was dug across the ramparts of Ravensburgh Castle, a well preserved Iron Age hillfort in Hexton. The Society worked with James Dyer, a lecturer at Putteridgebury College of Education, and his students. 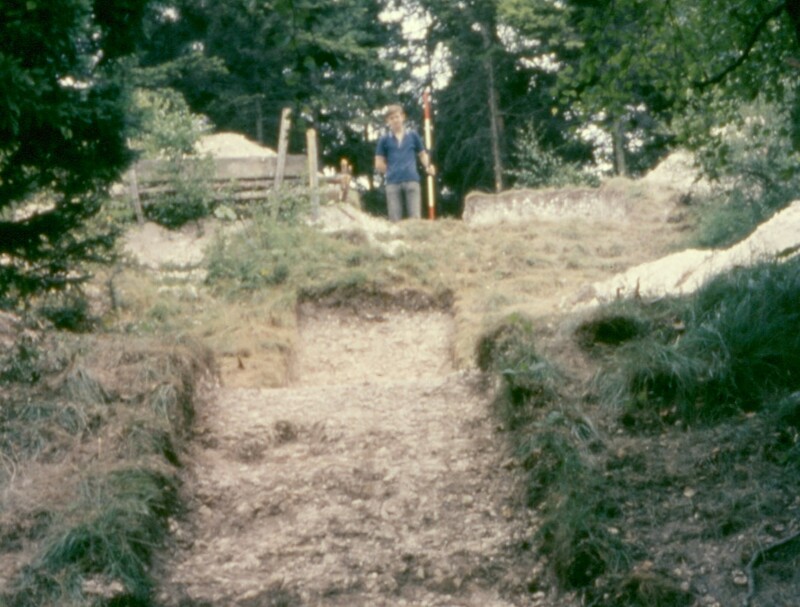 This trench established that there were four separate phases of construction, ranging from the Early to Late Iron Age. Later excavations indicated that, unlike Wilbury, the hillfort had still been occupied at the time of the Roman Conquest in AD 43. James Dyer has suggested that it may have been the base of Cassivellaunus, the king defeated by Julius Caesar in 54 BC; Ravensburgh does not really match Caesar’s description of the base, which more closely fits the situation at Baldock.